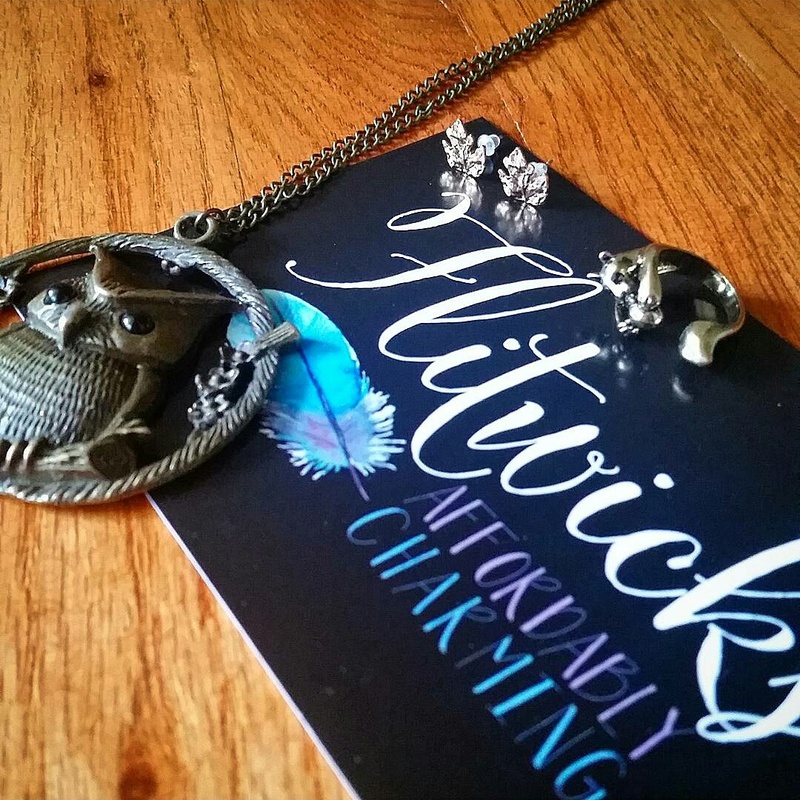 This month’s Flitwick’s Box was Autumn themed – my absolute favorite season of the year. How’d they do? Well, let’s put it this way. I wasn’t AS impressed as I was in their first month, but I still really liked the pieces! So first up was the neckace, this month a burnished gold – quiet a contrast to last month’s all silver box. The necklace was an oversized owl pendant which was absolutely beautiful. I’m a huge owl girl, so it is such a great piece to include! The downside of the necklace was the size of the pendant – it’s huge. I know with the amount of detail in it, it might have been necessary to be so big, but it was almost too big. I’ll definitely wear it, just not as often as I would have, had it been a teeny bit smaller. Next up were the earrings – another set of studs similar to last month. This month’s earrings were shiny gold leaf studs, which absolutely took the cake as my favorite piece in this month’s box. I had to switch out the earring backs as the posts were a bit too thick for the ones included, but no harm done with that. And finally, the ring. Hmm…well, it’s a squirrel. It’s the first ring Flitwick’s has done (last month it was a bracelet instead). And it was burnished gold….and it’s a squirrel. Honestly he’s cute. But I’m so glad squirrels do not have arms that long in real life. The little guy is a tad frightening looking, but I love the concept of him! He definitely screams autumn to me – I just don’t know how much I’ll wear him. Overall this box was a 2 / 3 for me. The earrings were a smash hit, the owl pendant was beautiful if not a bit too big and the squirrel ring just missed the mark for me. Next month’s theme? Earth, Wind and Fire – the featured cuff bracelet is absolutely stunning. So excited for next month’s box – should be a beautiful one! Want to get your hands on it? Head over to Flitwick’s website for all the details on how!